We provide safety – at any height. At XSPlatforms, we work towards a world where working at heights is simple and safe. We design innovative access-to-height systems that excel in quality and ease of use, focused on the needs of our clients. Together with our Partners, we deliver our solutions to the world’s most unique buildings, providing safe work environments at height; whether you are working on a two-storey building or washing the windows of a skyscraper. We believe that everyone who works at height deserves absolute safety and protection. To ensure this, we test all our products according to the highest international safety standards, including CE. We were the first company in our industry to be certified by the TÜV quality institute. We always start from the needs of our customers; we make sure to get their perspectives on all things relevant for the design of our solutions. We ask questions like: What are the characteristics of the building? What is important for users? What functions are required? We deliver solutions in which design & functionality go hand in hand to ensure the safety of people working at height. For us, simplicity defines quality. That is why all our solutions are easy to use. We make sure that every addition we make contributes to the performance of our equipment. Installation and maintenance is a piece of cake. We make sure our systems facilitate good jobs at great heights, without the fuss. Compromise impedes quality. That is why we go beyond our limits to push ourselves towards excellence. 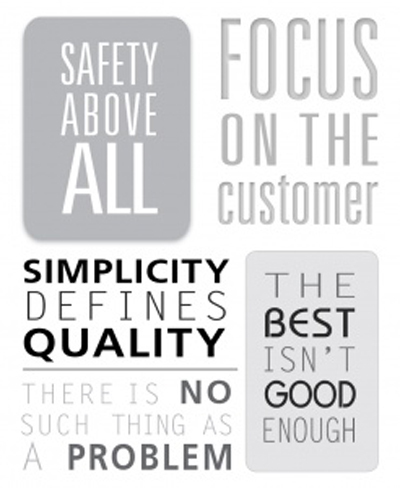 We apply this in every aspect of our company, whether it is about the material we use, the design of our solutions, our customer support or our daily operations. We set the highest standards because only the very best is good enough for us. Where others see a problem, we see an opportunity, a challenge, a possibility. We meet challenges with daring enthusiasm and optimism. Whenever something seems impossible, we’ll look for a way to make it possible. Because every problem has a solution. At XSPlatforms, we find creative and innovative solutions that make working at height safer and easier.